Aston Martin has announced it will both debut and campaign a hydrogen-powered Rapide S at this year’s ADAC Zurich 24 Hours of Nürburgring. The company wants to be the first to manage a zero carbon dioxide emission lap in mainstream racing, and the racecar should be the first hydrogen-powered machine to compete in an international event. The Hybrid Hydrogen Rapide S will continue to use a twin-turbocharged 6.0-liter V12 engine for propulsion, though the prototype engine can be fed on either pure gasoline, pure hydrogen or any combination of the two. In order to do so, Aston Martin had to install a hydrogen fuel rail, tanks and an entirely separate engine management system. The tanks themselves are hewn from ultra-high-strength carbon fiber. The four vessels can hold around 7.7 pounds of hydrogen at 5,076 pounds per square inch of pressure. Two get stashed next to the driver while the other two reside in the car’s trunk. Check out the full press release below for more information. 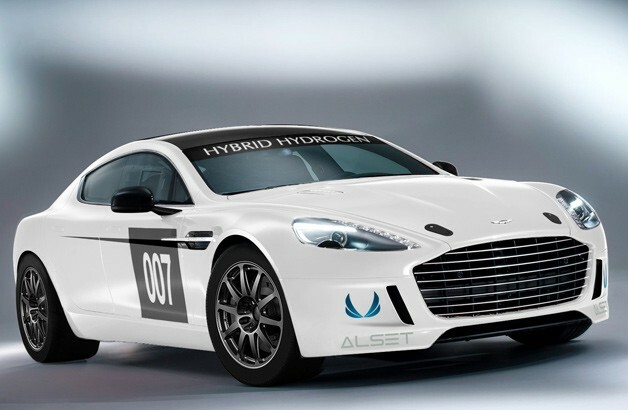 Hydrogen-powered Aston Martin Rapide S headed to the 24 Hours of Nürburgring originally appeared on Autoblog on Fri, 12 Apr 2013 09:58:00 EST. Please see our terms for use of feeds.